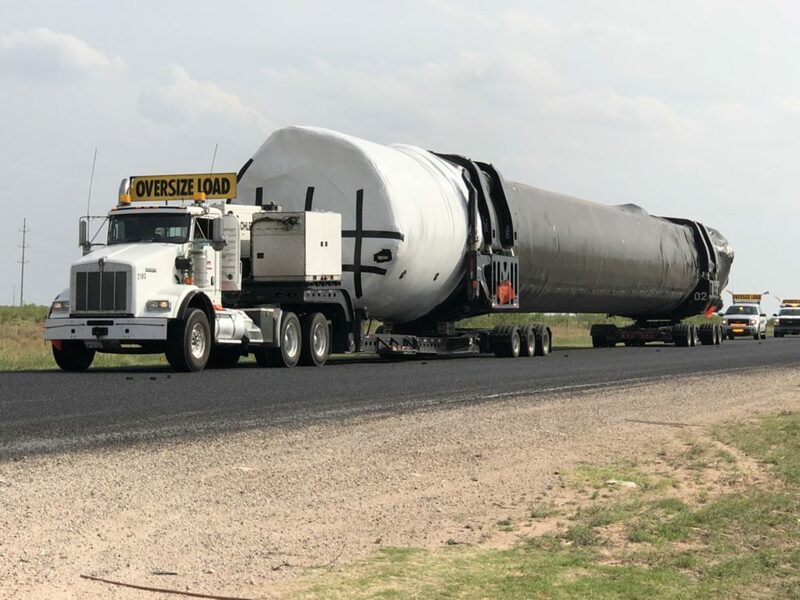 A SpaceX Falcon 9 – almost certainly the third Block 5 booster to leave the company’s factory – was spotted passing through New Mexico on the last leg of its trip from California to Texas. 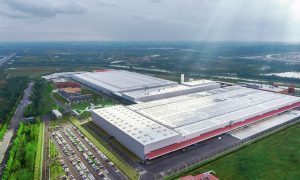 Although the shipment is a great sign, it begs the question of how exactly SpaceX plans to launch its next six launches penciled in for July and August. 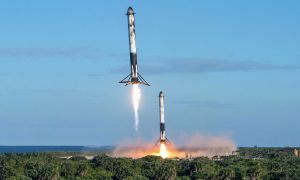 Bear with me, as this post will dive into the specifics of orchestrating launches – namely having rocket boosters, upper stages, and fairings all ready at the same place and time. Fundamentally, the analysis that follows suggests two main possibilities: 1) two or three of those July/August launches will have to be delayed for booster availability or 2) the first (and perhaps second) truly rapid reuse of Falcon 9 Block 5 boosters will occur before summer’s end. 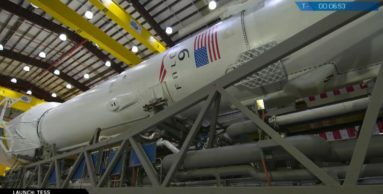 After conducting routine static fire testing in McGregor, the booster spotted on Monday – B1048 – will likely be shipped West to Vandenberg Air Force Base for the first West coast Block 5 launch in mid-July. 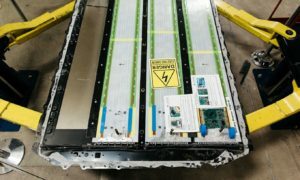 B1047, the second Block 5 booster to leave SpaceX’s Hawthorne factory, was spotted miles from Cape Canaveral, FL near the end of May, while B1046‘s early May launch marked the debut of Falcon 9 Block 5 and was expected to undergo several months of disassembly and analysis to ensure the rocket upgrade was functioning as intended. 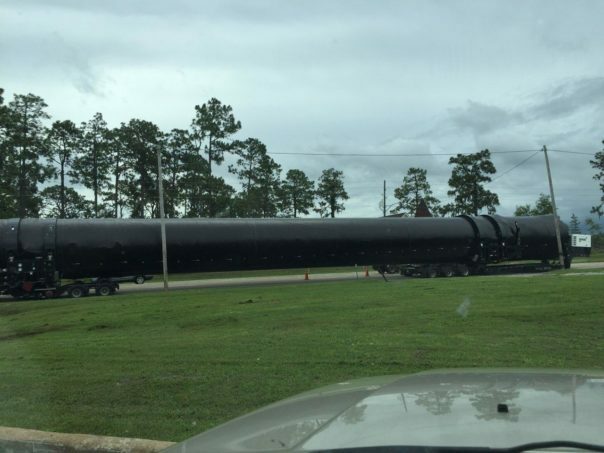 Based on previous patterns, the fourth Block 5 Falcon 9 booster – B1049 – should not be expected to ship from the factory to McGregor until late June or early July. Finally, the last orbital Block 4 booster (B1045) will conduct its second and final launch in the last few days of June, currently NET June 29. Put simply, B1049 is unlikely to arrive at its first launch site until mid or late July and can thus be taken out of the July running. B1045 will be (presumably) expended after launch, also taking it out of the running for future launches. B1048 will almost certainly travel to Vandenberg Air Force Base (VAFB) for its first launch in July, effectively ruling out its availability for other July and August launches. Furthermore, Iridium’s CEO Matt Desch has stated that both Iridium-7 and Iridium-8 are expected to launch on unflown boosters. 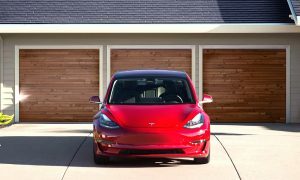 Fundamentally, this leaves two Block 5 boosters readily available for four loosely scheduled July and August launches on the East Coast. Focusing on July’s schedule as it currently stands, B1047 would be required to launch two high-energy geostationary transfer orbit (GTO) missions in as few as two weeks. 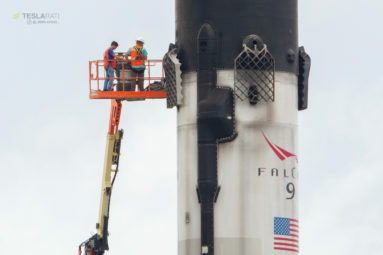 The nature of drone ship recoveries would cut the time available between the booster’s return to port and its second static fire to perhaps 5-10 days. In other words, there would be almost no time whatsoever for refurbishment, at least compared to the current prospective record of B1045, roughly 70 days between launches. All things considered, two launches of the same booster in well under a month would be an act of heroics given that B1047’s first launch will be the second or third-ever flight of Falcon 9 Block 5. 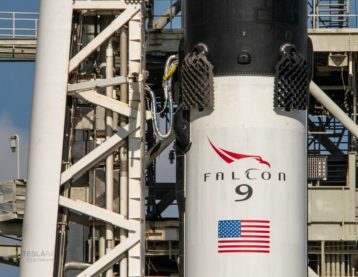 An extensive upgrade to the venerable rocket intended to make it highly reusable and equally reliable, Block 5 is the culmination of more than half a decade of experience launching a wide array of Falcon 9 versions and 56 total launches. 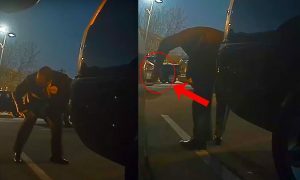 While I would place the odds of a sub-30 day back-to-back reflight happening less than two months from now at maybe 10%, my odds for the next six to nine months are closer to 95% – remember, Musk set SpaceX the goal of two flights of the same booster in 24 hours by the end of 2019. It may sound insane, but it quite literally was what Block 5 was designed to enable. Although delays are more probable here, the alternative is a truly wild roller coaster of launches and historic reusable rocket milestones. Fingers crossed!